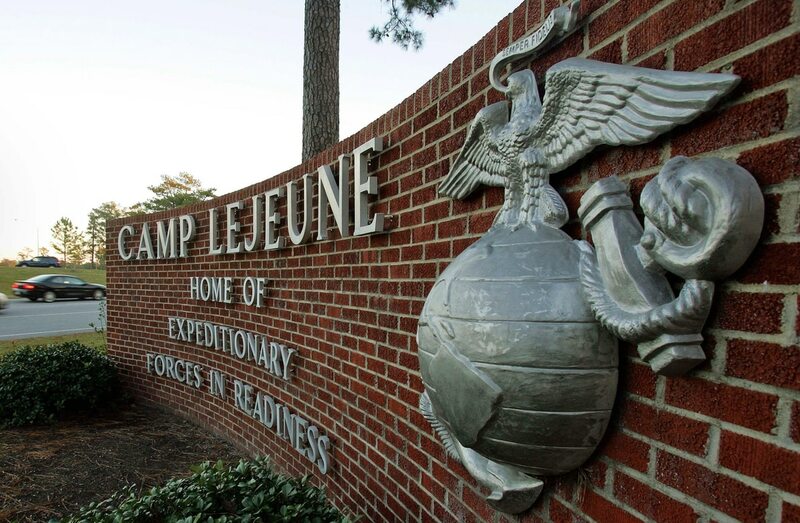 WASHINGTON — Former service members exposed to contaminated water at Marine Corps Base Camp Lejeune over a 35-year period can now apply for veterans disability benefits, under a new federal rule finalized Tuesday. The move, which comes after a two-month review of the department's plans, is expected to affect as many as 900,000 veterans and cost more than $2 billion over the next five years. In a statement, Veterans Affairs Secretary David Shulkin called the move "a demonstration of our commitment to care for those who have served our nation and have been exposed to harm as a result of that service." It comes after years of lawsuits and lobbying by veterans groups who said tens of thousands of troops and their families were exposed to unhealthy levels of contaminants from leaky fuel tanks and other chemical sources while serving at the North Carolina base from the early 1950s to the late 1980s. In 2012, Congress passed a law providing free medical care for troops and family members who lived at the base and later developed one of 15 illnesses. But that measure did not include the authority to extend VA disability benefits to those veterans. The new rule will allow that, for veterans who suffer from one of eight diseases that VA officials have said are definitely connected to adult exposure to the water contamination. Those issues are leukemia, aplastic anemia (and other myelodysplastic syndromes), bladder cancer, kidney cancer, liver cancer, multiple myeloma, non-Hodgkin lymphoma, and Parkinson’s disease. Labeling the illnesses as presumptive conditions allows veterans to provide only proof of their medical status, and not evidence the conditions are linked to a specific event or exposure. VA officials will accept applications from any service member who spent at least 30 cumulative days at the base, whether that service was on active-duty, reserve or National Guard status. Veterans have a year to file the benefits claims, and if approved will receive payouts from their date of filing. For more information, visit the VA web page.